Shop Mackie 2404VLZ4 24 Channel 4 Bus Mixer from AMS with 0% Interest Payment Plans and Free Shipping. 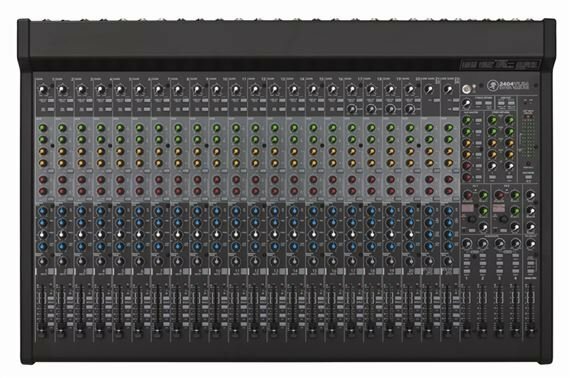 The 24-channel Mackie 2404VLZ4 24 Channel 4 Bus Mixer features the proven performance of 20 Mackie Onyx mic preamps in a high-headroom, low-noise 4-bus design with a feature set perfect for live sound. The 2404VLZ4 features dual 32-bit RMFX+ effects processors each with 24 effects including tap delay. Compression on dedicated channels and subgroups allows for simple, sweet dynamic control. 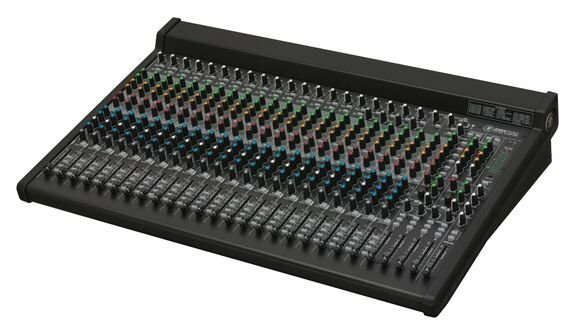 Mackie also gives this sound board 4x2 USB connectivity for flexible recording of live shows. And, of course, Mackie’s legendary 'Built-Like-A-Tank' construction delivers years of reliable use under the most strenuous conditions. The 2404VLZ4 mixer is the premium compact FX mixer solution for anybody serious about performance in a design that’s flexible, rugged and professional. 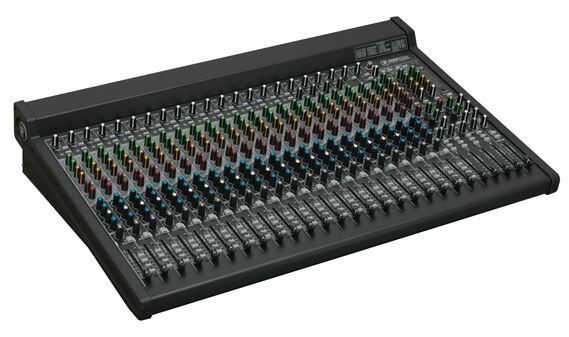 Phone: 800-258-6883 Warranty: All SRM, DLM, HD, iP and C Speakers, Reach, PPM Mixers, HRmk2 Studio Monitors: 3-year inclusive of electronics, 2-year drivers (where applicable), nontransferable; Thump, Freeplay, Onyx Mixers and Interfaces, DL, VLZ4, ProFX mixers, MRmk3 Studio Monitors, Big Knob, MCU Pro Series, SP260, FRS Series Amplifiers, Mixer Bags/Covers/Hardware, Loudspeaker Bags/Covers/Hardware: 1-year nontransferable; FreePlay Lithium Ion Battery: 90-day all inclusive, nontransferable;B-Stock items, 90 days. I’ve had this board now for a few months now and it’s killer! Used it to replace my bands old Peavey sound board which was falling apart. Everything is solid and well built having the extra AUX out options makes it much easier for everyone to have there own monitor mix which was always a problem with our last board. Definetly would recommend this board to any of my fellow musicians and have and would recommend AMS to them the service and the easy payment plans make it affordable to musicians like me who don’t make much for our shows. Thank you again AMS! this thing sounds great! It really compliments my JBL eon615's it really woke them up. and it's really easy to use got mine set up for both recording and rehearsing. the onboard effects are cool and sound good and the built in compressor is awesome! I have never had a mixer this big but it was very easy to use and works great. I even use it for recording. Great product, sounds great, great quality from Mackie. We built our Car Clinic studios in 1996 (Acoustic Systems made) and installed the Mackey 24 Pro board. Today we still depend on this very unit for our national broadcast...live every Saturday. Solid...dependable...easy...clear audio and outlasted every other electronic unit to date! Clearly the best! I had the 24.4 since they first came out. I take very good care of my equipment and this mixer still runs strong with no problems. If the pots start to get scratchy (happened once after 15 years), just turn them back and forth fast until the scratchiness stops. That's all I ever had to do. Considering the venues I played with this mixer, that's quite a track record. I did rainy days, hot and humid and everything in between. The best thing is there's plenty of mic inputs that cover all venues. I did sound for an orchestra once and had plenty in inputs for the job with 20 mic ins. I did a quire and it was fantastic. I used a tiny bit of off board reverb for dimension and wow!! I ran a video camera (hi def) and took a line out to the camera (main left and right, ran the house mix mono out). The stereo reverb was absolutely beautiful. I did a kind of cheat mix, mixed somewhat for the video but still kept a good stage mix. The six aux sends are PLENTY!! Buy one!! It's great!! VERY well made. I hope the new boards are as dependable mine was after a good 15 years or more and I'm guessing the sound got even better since then with the newer mic pre amps. I only bought a road case for mine about 5 or 6 years ago and the mixer still ran good with no dirty pots etc and it had a little banging around in that time. I did how ever I did baby my mixer, I couldn't afford another one at the time. The mixer is quite resistant to skuffing and all that, there may be only one or two very minor scuffs or tiny dings after all these years. I also keep it wiped down every chance I get. The SR24.4 is straight forward easy to use. The EQ is simple, the layout is simple to use and all the ins and outs are easy to find. Six auxiliary sends allowed me to use a 5 way monitor set up with my own band for years. The EQ is easy to use. I can't think of any features to add, I was always content with everything the mixer has. In other words, I don't remember there ever being a time when I said anything like, I with this mixer had a.....etc. Now though, I believe a direct out on each channel would be very handy for multi tracking concerts and would make it easier to use for studio use. You can plug into the channel inserts for a direct out to a mixer but the gain affects the mixed signal making it weaker for a live recording. If you're short on powering a channel due to a low instrument or vocal volume and turn the gain up, it affects the monitor send etc. Other than that, nothing else would benefit the mixer. The "air" control is fantastic!! It puts "life" into a vocalists sound, a kind of "breathiness", I hope this is still a feature on the newer mixer. Just said it all above, this mixer is still working my band after a good 15 years, if not longer (maybe shorter). I bought this when they first came out.